The long hiatus since 2011 is over. The new 2019 Ford Ranger is back in Holly, MI in XL, XLT, and Lariat trims, and it's already an advancement on both its previous iteration and the competition. What can eastern Michigan drivers look forward to? Szott Ford has the scoop. Regardless of the number of people you need to transport, the 2018 Ford Transit could be the perfect full-sized passenger wagon for you. You'll be able to choose between a 10-, 12-, and 15-passenger option, and each model comes with a unique layout. The rear seats are set up to ensure aisle seating for everyone, and your passengers will never have to climb over each other or other seats in order to sit down. Ford’s heavy-duty Super Duty pickup is built tough for the tough jobs. 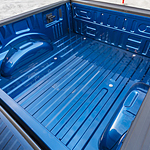 Ford made the best even better with a beefier foundation and stronger materials in its line of pickup trucks. Let’s see how Ford made their Super Duty pickup even tougher than before. Ford knows that building a tough truck starts with a tough foundation. That is why they decided to put heavier, stronger materials where it counts in the axles and frame. They also know that stopping ability counts and they now have one of the biggest braking systems for trucks in their class. Our dealership, Szott Ford in Holly, has found the Ford EcoSport to be a popular compact SUV. In addition to having 60/40 seating, it has adjustable rear load floor and shelf for more options in transporting items. 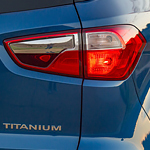 This compact SUV also has several helpful capability features, such as hill start assist and a 1.0L EcoBoost engine. Do you ever dread driving through areas with steep hills? Hill start assist eases a driver's anxiety by preventing the car from rolling backwards when they move their foot from the brake to the accelerator while stopped on a hill. One of the most popular crossovers on the road in Holly today, the Ford Escape brings exciting next-level technology to your ride. 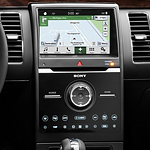 Here at Szott Ford, we want to show you what technology the Ford Escape offers for the road or the parking lot. With all of the mid-size SUVs on the market, it can be overwhelming when you are in the market for one. At Szott Ford in Holly, the Ford Flex is a popular model because if offers a number of benefits. 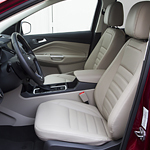 The Ford Flex comes with third-row seating and is available in three trims that include the SE, SEL, and Limited. Read further to learn about its convenience features. The Ford F-150 has long been one of America's favorite pickup trucks. Everyone from hobbyists to tradespeople knows that this truck works harder and smarter than anything else on the road. The 2019 edition of this truck is no different. This truck is a true a leader in its class. Its towing capacity is second to none. When the entire family here at Szott Ford discover features in a new vehicle worthy of a closer look, we can't wait to pass that information on to local motorists. 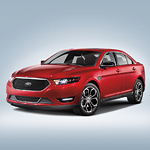 This year, the all-new Ford Taurus full-size sedan is the popular choice because of countless technology features. 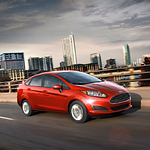 The 2019 Ford Fiesta is packed with features that make it a safe, sporty, and reliable subcompact car. With three different models to choose from, the S, SE, and ST, there will be one that will fit your driving habits in Holly, MI. 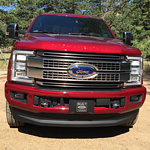 Szott Ford can show you your various options and explain their unique features.